Families have secrets. Roxy’s family had more than its share. So, she flees to Hollywood to follow her dream and create a new life for herself. Easier said than done. Though bombarded with daily challenges, Roxy and her new, wounded warrior roommate manage to find humor in their frequent calamities with the help of an amazing dog. But then, Roxy's mother moves in. Along comes the well-connected acting coach, James Jonathan Jarvis, and Roxy’s big break in showbiz: a part in a reality TV show with a wilderness survival theme. A week before rehearsals begin, her confused mother disappears. Roxy’s search leads her close to Montana where she and Madeline become trapped in a real life-and-death situation. 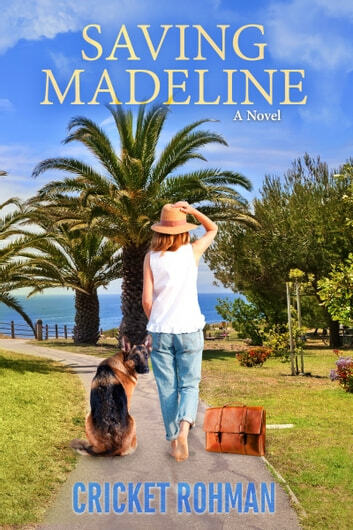 SAVING MADELINE is an unusual and entertaining story of three women and how they support each other.